While waiting for my flight to Portland last week, something awesome happened…something very Oola! Because the flight was overbooked, the airline offered generous compensation to a volunteer willing to catch the next flight. I just happened to be traveling alone, was scheduled to arrive earlier than necessary and, incidentally, had a book I was dying to dive into; without a moment’s hesitation, I stepped forward! As I tucked my easily obtained reward (enough to purchase my next getaway flight) into my bag, I pulled out my advance reader copy of Oola For Women I received in the mail just days earlier. There was nothing to do but relax and digest the wisdom of Dave Braun and Troy Amdahl with Janet Switzer and the inspiring stories of 42 women. 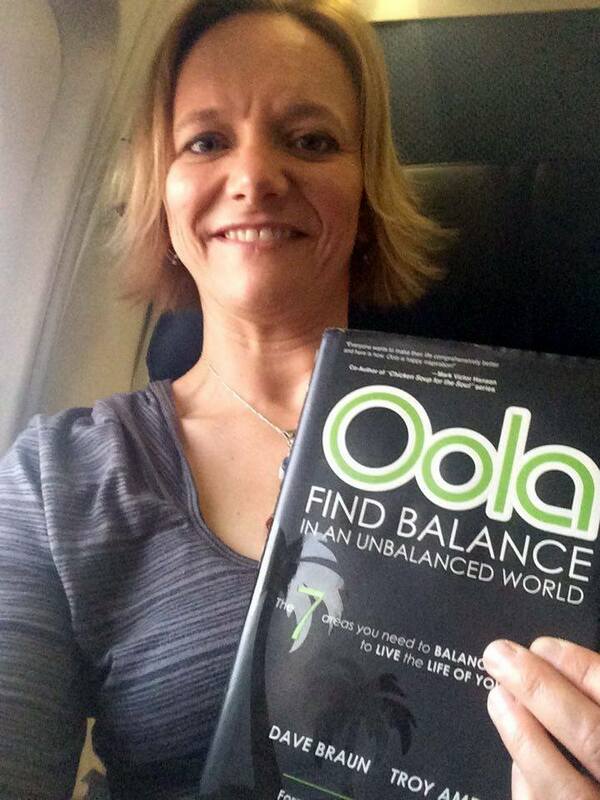 This was sort of deja vu for me as I recalled reading Braun and Amdahl’s original Oola book last year on a flight to San Diego! That’s when I was first introduced to their 7 key areas one needs to balance and grow, to live the life of one’s dreams…fitness, finance, family, field (career), faith, friends and fun. I’ve had some amazing opportunities to put these areas to work in my life and have found extraordinary balance in doing so. These same 7 key areas are beautifully re-presented in Oola For Women, using powerful stories to further the reader’s understanding and connection. The poignant story each woman humbly shares brilliantly illustrates these areas, and beyond as the authors warn of traits that block one from living the life of their dreams, as well as ways to accelerate reaching those dreams. I kept thinking as I read story after story, how they resonated deep within, how I related to so many as if they could be me! 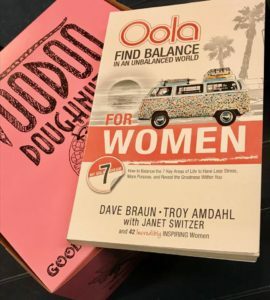 Braun and Amdahl are currently traveling across the country in their OolaBus collecting a million dreams, so how appropriate there is a blank OolaWoman Goal sticker in the back of the book to record that dream! It’s become difficult for me to narrow it down to a single dream, so I will continue to think on that. 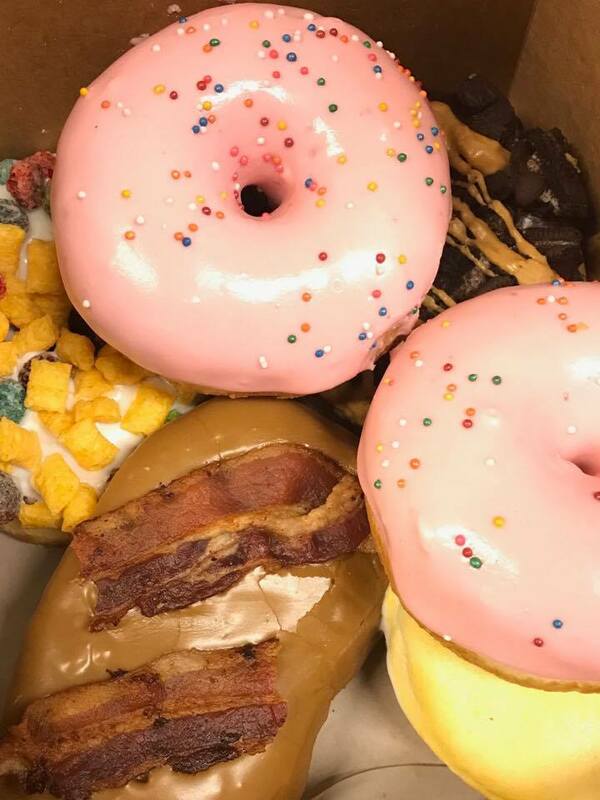 Dave, Troy, these VooDoo Doughnuts are in honor of your beautifully crafted tool for women to find that delicate balance in an unbalanced world! You two are changing lives all over the world with one word! Why not treat yourself to less stress, more purpose and uncover that greatness within! 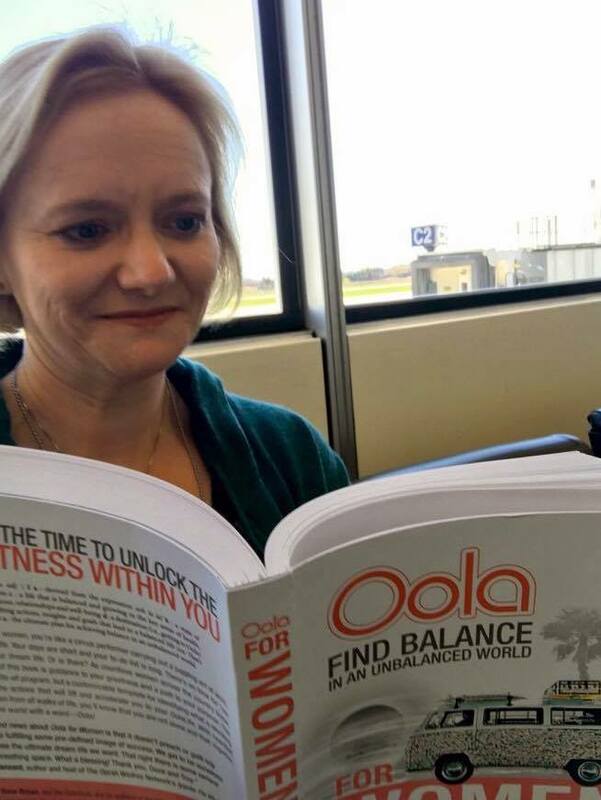 Friends, Oola For Women hits bookstores across the country tomorrow, May 2nd. If you’d like, check it out at Barnes and Noble or Amazon. Oh, and keep your eyes open for that VW OolaBus!